Anti-lock brakes were designed to help you control your car during adverse driving conditions. The ABS system keeps the wheels of your vehicle from locking up, preventing skids when the road is wet or icy. Prior to anti-lock brakes, a driver would have to pump the brakes manually to prevent this phenomenon. Anti-lock brakes sense when your vehicle is in a skid condition and pulse the brakes hundreds of times per minute, which is much quicker than any driver could react. Although ABS brakes also reduce the stopping distance of your vehicle, this is not the main purpose of having ABS brakes. 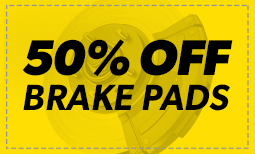 Get more information about anti-lock brakes at Meineke #1312 in Raleigh, NC. Braking sharply is risky but at times necessary in order to avoid a road hazard. One of the major risks of braking is losing control of your car, which could lead to a major accident. The anti-lock system monitors rotational speed and performs a sophisticated algorithm of releasing and pumping the brakes that prevents wheels from locking up and lets the driver retain control. A malfunctioning ABS is particularly risky when driving on a slippery or icy surface, in bad weather or on loose material such as gravel. For best performance, be sure to get a regular ABS brake service check at Meineke #1312 in Raleigh, NC. Your ABS is a crucial safety feature. Fortunately, there are several warning signs that will allow you to get it repaired before it fails. Many cars today have an ABS warning light. If yours comes on, take your car to a mechanic and have it checked right away. Other red flags for impaired anti lock function include brakes locking up at odd times, brake pedals that do not respond to pressure and a greater amount of pressure being needed to brake. If you notice any of these, it is time for an immediate check-up. Stop at Meineke #1312 in Raleigh, NC to learn about ABS system cost for repair or replacement. Even if your anti-lock brakes fail, your car is probably still drivable. The ABS brakes will switch off if the components fail, but the regular brakes on your car still work. This can still be a problem if you get into a panic situation where you expect your brakes to pump themselves to get you out of a skid. Don’t put off repairs to the anti-lock brakes, even if you’re not expecting icy or snowy weather. The ABS system also keeps your auto from hydroplaning in wet driving conditions. Maintain your brakes with silicone brake fluid or mineral brake fluid by coming to the professionals at Meineke #1312 in Raleigh, NC. Although some repairs to the ABS system can be costly, it’s much safer to replace a faulty ABS module as soon as possible. 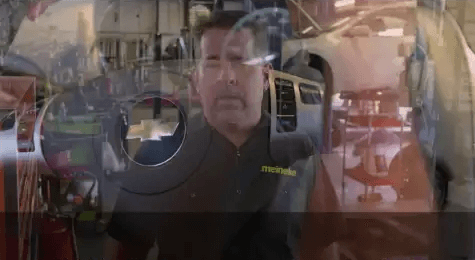 When you hear random clicking noises or feel the brakes trying to pump themselves, you need to come to Meineke #1312 in Raleigh, NC for professional repairs. When you become accustomed to relying on your anti-lock brakes, you don’t want to be caught without them, especially when the weather gets bad. Let Meineke help keep you safe on the road. Scheduling an inspection for your anti-lock brakes at regular intervals is the best way to keep repair costs from mounting. Remember that service may be as simple as adding brake fluid, a component that costs just a few dollars. Silicon brake fluid and mineral brake fluid are widely available, and they may be among the products used by Meineke #1312 in Raleigh, NC, when you come in for ABS brake service. The specialists here can diagnose any brake problems you might be having and resolve the issues promptly in order to save you greater expense down the road.